I'm intending to buy my next car from a Ford dealer and just wondered if there are any tips you can give from those of you that buy from dealers? I've bought and sold over 30 cars in my time but all private sale, bar one or two from indy dealers. I'm looking for a Mk3.5 Focus, I know there's a premium on them compared to late PFLs but I much prefer the facelift and I'm confident they'll hold a lot more value when I come to sell or trade in 3+ years later. Must be Titanium and must be 1.0EB. Would like nav and rear tints but they can be added later so not a necessity, sadly I don't think I can afford a Titanium X Nav with optional privacy glass in DIB which would be my ideal daily atm lol. I'm looking to buy around early October, should be plenty of 3 year old trade in's about after the September plate change, and I'm guessing a bit of a slump between the plate change and xmas? Will try to PX the Golf and will be paying for the rest outright, no finance etc. Is there much room for negotiation on forecourt prices or will they stand firm at the asking price? If I buy a 15 plate car (just out of manufacturer warranty) will the 'approved used' warranty cover all the same things? I think salesmen are much less likely to give a discount now. Apparently the profit margins are pretty tight nowadays to the point they don't really make much money on car sales. Where they make the money is through financing, hence the constant nagging about it when you go to buy a car. You could probably get a bit knocked off if finance is the way you want to go. sold the dirty diesel then? have you tried an ecoboost yet? dont bank on any car holding its value, mk4 out soon. on the 3 ocassions ive bought from franchised dealers , none would budge on the price. ive done the walk away and no thanks ploy and that didnt work . others on here may have had better experiences than me. the salesman who i bought my focus off didnt want to sell me the car once he knew i was paying cash and no extras. had to ask manager first , manager came over to see me . when i explained that i worked for a ford dealer eleswhere and that superguard , alloy wheel, gap insurance was a rip off and all i wanted was the car( and to be fair the price of car was good ) he was ok and salesman wouldnt be shot at dawn for selling car only. I bought my 2 and 1/2 year old (at the time in late 2013) Mondeo from Trust Ford in Bristol, which is actually owned by Ford and not franchised. I paid cash for it and they wouldn't give me any discount at first but then offered a years road tax, which I took. I also took out a 3 year service plan too which included MOT's and discount off parts and accessories and worked out cheaper overall. My experience has been very good apart from the one service where they overfilled the oil, but they were good about sorting that out too ( I could have sorted it myself but that's not the point). The service department here is very busy, but they were always polite and efficient and always followed up with a courtesy call. They also resolved problems that I had with the car; PCM update for the turbo lag, battery replaced free a year after the warranty ran out to solve the "low battery" message issue, and some other little things. In comparison, I rang my local franchise dealer about potential warranty issues and they didn't want to know. Another franchise dealer (near work) carried out the service last year and all seemed ok until I collected the car and noticed the paint on the front bumper had cracked, wasn't there the day before when I washed it (I always ask the dealer NOT to wash my car, which always puzzles them), they offered to do a Smart repair on it but I said I wouldn't take up the offer. Won't be going there again...but then I'm starting to service the car myself now that it's 7 and 1/2 years old. The only thing that it might go back to a Ford dealer for is the Timing belt (not due yet), depending on price. Hi Tom, my experience is a bit out of date now as I last bought from a main dealer back in 2008! It might have been to do with the financial crisis at the time but I did get them to take £1000 off the asking price and 6 months road tax for a cash deal on a 1 year old Focus ghia (paid 10,500 if I remember right). That was before pcp went mainstream so I think the salesmen were under less pressure to get finance deals set up. There was a zetec there as well a bit cheaper but was blocked in by about 3 other cars, so when i asked to drive it as a cheaper option could see they weren't keen to move them all to get to it. They might try to make some margin on your trade in so look out for that as well. Still worth trying to negotiate hough; especially if you can show them another equivalent advertised slightly cheaper elsewhere. car tax thrown in isnt such a deal maker on an ecoboost.£20!! wow. Ian, yes the diesel has gone, I haven't tried an EcoBoost yet...but they're literally the only petrol I can afford to run in a Focus sized car lol. Plus I like the ride comfort and Titanium spec of the Focus. I thought the MK4 was already out to order? Was hoping that'd push the price of the 3.5s down! All cars are going to depreciate but with the difficulty in private sales now and needing a reliable car with my circumstances I think a fairly new car from a dealer is probably the way to go this time. Good tip about the end of the month, I hadn't thought about their targets! I don't think I can do finance in my situation but I wouldn't mind a 0% interest deal if it meant the car was cheaper overall, so may look into the small print there. why do you think i bought the 100bhp. lol ive saved a whole £40 in my ownership. ha ha. well, was due to no dmf to be fair and cheaper to buy. I recently sold my 2012 Focus Ecoboost and bought a 2015 ecoboost. I used two dealers. The first is a very big chain and completely tried to rip me off. The second is also big and was amazing. So based on my experience I would recommend, in fact I’d beg you for your own well being, to NOT buy from Evans Halshaw. They are incredibly bad and have caused me over a month of stress chasing my refund. I have £7k back but still owes hundreds and chasing it up constantly with nobody taking my calls or replying to emails. I had to use a Solicitor to get my £7k back too. In addition to the above, my partner bought a fiesta from them a few years ago. A different branch. They promised her a second key and a service book. Neither ever arrived. Sadly this was before she was with me so they got away with it. My neighbours daughter bought a car from them. She’s still chasing up repairs after a couple of months of owning it and hates the car as well as them. And if you look at their twitter account and check out the ‘mentions’ where other people tweet them you’ll see their service is shocking with common complaints being failure to provide refunds and lack of contact. The online reviews are also shocking. So my advice re buying from a dealer is to AVOID EVANS HALSHAW. The second dealer I went to was Bristol Street Morors. It was a totally different experience and I strongly recommend them. 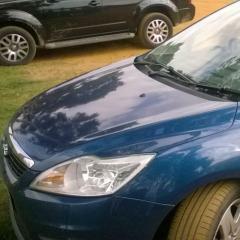 Looking for some advice please., I plan to buy from a Trust Ford dealer too but can't decide on whether it should be 1.5 diesel or 1 litre eco boost petrol. In Ireland you pay extra duty when importing if the car is petrol and has higher co2 emissions, it's also more expensive to tax. But is the petrol variant the better one from the point of view of day to day driving?. I have a diesel Titanium and am happy with the fuel economy but wonder are we being scared off from buying diesels.? Personally I wouldn’t touch diesel these days. It’s now the villain in the governments eyes which can only mean one thing - rising costs and devaluation over the years. Diesels are not worth it in my view as things will get worse for their owners from here on in. even if i did more miles than i do i would still prefer to spend more money on petrol than have a diesel. just preference. never been keen on diesels. Also, take a look at the second hand trade. Diesels are starting to take a hit on values and demand. It looks like Evans Halshaw is one to avoid then... Bit of a shame as their 'move me closer' function would be useful, and they're more reasonably priced than my local franchise. I've heard/read a lot of other negative experiences with EH, makes me wonder how they can be so bad but still sell enough cars to keep them going! A lot of people in the motor trade hate forums, whether salesmen or techs so I wouldn't take that personally. The difference in tax between the 1.5TDCi and the 1.0EB is £20 a year in the UK so not a deciding factor for us but I know tax is different in Ireland, and insurance costs more as well iirc? So costs may affect your decision more than ours. The big decider is the mileage you do though, if you mainly do short or slow town journeys, diesels just aren't worth the hassle any more. 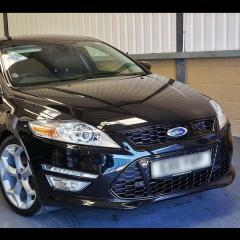 Bought my current car as a Ford Direct car from Trust Ford. I paid cash and did not buy any add-ons. No bad comments to make. But I have not had any problems to raise with them so the aftersales was not tested. I love diesels, just prefer the way they drive. I think the public are being turned against diesels due to publicity about pollution. I also think that values might fall as the public get scared that penalties will be imposed for owning them. personally I don't think the Govt will impose penalties on diesels for the cars already out there but I think the penalties on new ones could get worse to deter new ones being bought. There are of course other penalties being sneaked in by local authorities etc. Eg. in Brighton a residents parking permit is half price if you have a petrol car in the £30 or below road tax band. But no discount for diesels even if the road tax rate is Nil. It's this sort of thing which will bite more than what central Govt do on the existing diesels I reckon. And then we have all the scare stories about DPFs also which will put some people off. There's always someone who will say to their mates don't buy a diesel I heard that my sister's brother's boyfriend's daughter's father in law's next door neighbour had to spend £1,000,000 when his went wrong. But I do agree they don't make sense for short journeys. Are second hand diesel prices falling yet? For someone (like me) who buys recent low mileage models and drives them till they drop, what would you reckon is the sweet spot for getting the best diesel car with max depreciation due to the bad publicity? I do enough miles and don't need to go into too many city centres or need parking permits, so that doesn't worry me all that much. They could up the tax on diesel at the pumps but then that would hit small businesses (white van man) so they will be careful not to push that too far. i think diesel car values wont drop to significantly in the next few years as there will be less of them . been a 39% drop in new diesel car sales between 2016 and 2018. so i would assume less used cars coming through it may keep prices from falling? Pre-Euro 6 diesel trade prices have already dropped massively and are continuing to do so. Traders simply don't want them as they can't sell them, and they don't want the risk of DPF/EGR/injector issues that would fail the new MOT and cost them a lot to repair, eating into their profit margin. I was blatantly refused part ex at a couple of prices as they didn't want the hassle of selling a diesel! I've also been checking trade prices for the Mk3 DV6 for the last few months, they've been losing well over £100 a month! I did let mine go 'cheap' but not quite at trade price. Just for reference, mine had lost ~£800 trade value since January when I bought it. Diesel owners are already being penalised in London, from April next year you won't be able to drive a pre-E6 diesel into London with the ULEZ. Other large cities will follow soon as well. I've just remembered you had DPF issues on the Mk2... Was that just mileage related at ~80k or so on the Eolys DPF? The cDPF should last longer but even they don't last forever, you'll have to replace it at some point, won't get away with removal under the new MOT regs. just had a calc and thats £130 a month depreciation . thats nearly pcp payments on a brand new one. i can see why some people pcp cars. i can pcp a focus st line for £199 deposit and £199 a month. not that im going to. The trade value on my old 2012 ecoboost was low too. However it was still able to get me a decent price on a private sale. I’d never trade in. You don’t get a great deal normally unless there’s a specific event in. Private selling is a ball ache but it’s better than trading in if you have the patience for it. After I bought my mk3 from an independent car supermarket in December, I noticed that for the same car 4 months later they were asking £500 + more for same spec. I can't imagine too many people splash the cash in December so maybe a good time to buy if you can wait until then that is lol! Any particular reason you're going main dealer? I'm guessing you'll pay a premium for that. The place we got ours was independent offering extended warranties etc and it was fixed prices but very verey competitive. Car hasn't missed a beat (bar a bit of coolant leaking which I'm yet to figure where it's coming from). The reviews this place had were excellent as I'm very particular where I buy from. Can anyone confirm this please? Dealer tells me that the Navigator tag has been discontinued for Titanium's from 2017 onwards. I queried why a 17 plate had the five spoke alloys normally associated with the standard titanium.